This integration will allow you to connect with Hubspot and start collecting your marketing and sales data. It is a matter of minutes to send your Hubspot data to feed your BI, your data warehouse, or your custom analytics stack. 2. 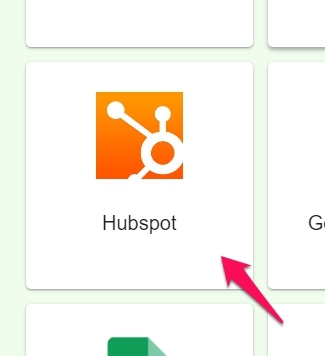 In the new “Setup your Hubspot source” screen click on Connect with Hubspot. 3. If you’re not already logged into your HubSpot account, you will be prompted to connect to your Hubspot credentials. 4. 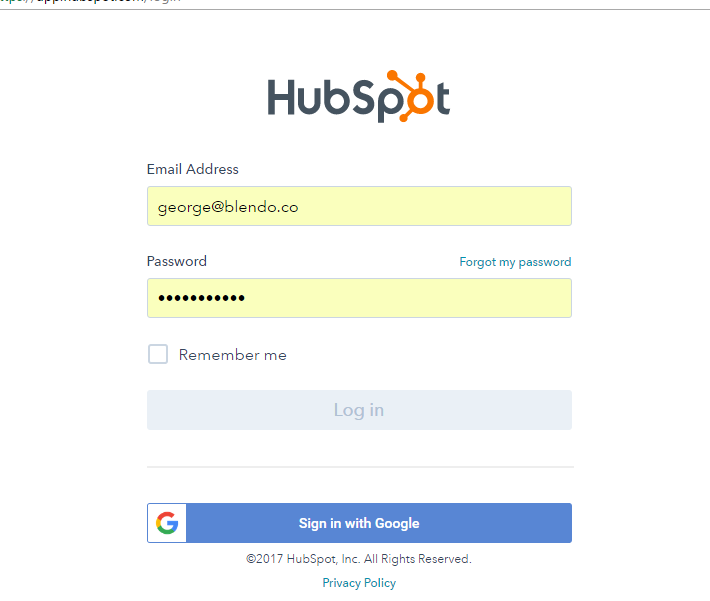 Login to your Hubspot account. 5. 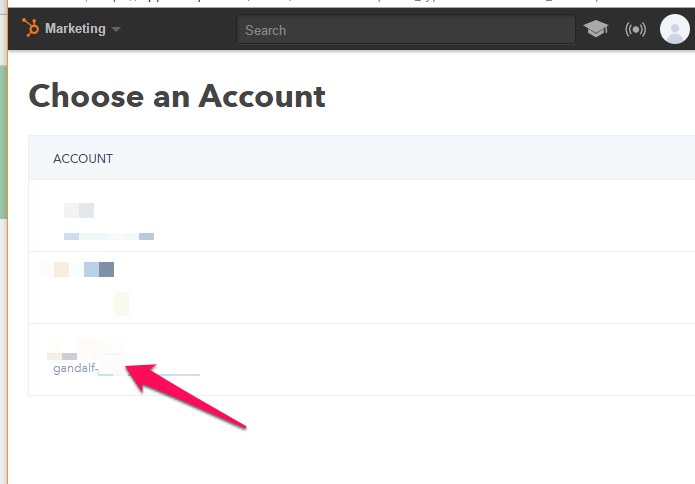 In the next page you will see a list of your Hubspot accounts. Click on the one you want to Grant Access to. 6. Add a Table Prefix if you need to. 7. Then you will return back to the home dashboard. Click on your new Hubspot data pipeline. When Blendo first connects to Hubspot Data source, will pull all your historical data. Blendo syncs Hubspot data based on the schedule and frequency you choose. The default setting is every 1 hour but is configurable from inside the app. The first time Blendo syncs your Hubspot data performs a full replication. Then your Hubspot data is replicated incrementally. There may be cases due to an APIs limitation an incremental sync is not possible. In that case a full sync is done. Please check the CSV for more details. After you finish the integration with Hubspot, you might see its status as Importing from source, Exporting to the destination, or Completed. What Hubspot data do I have available? 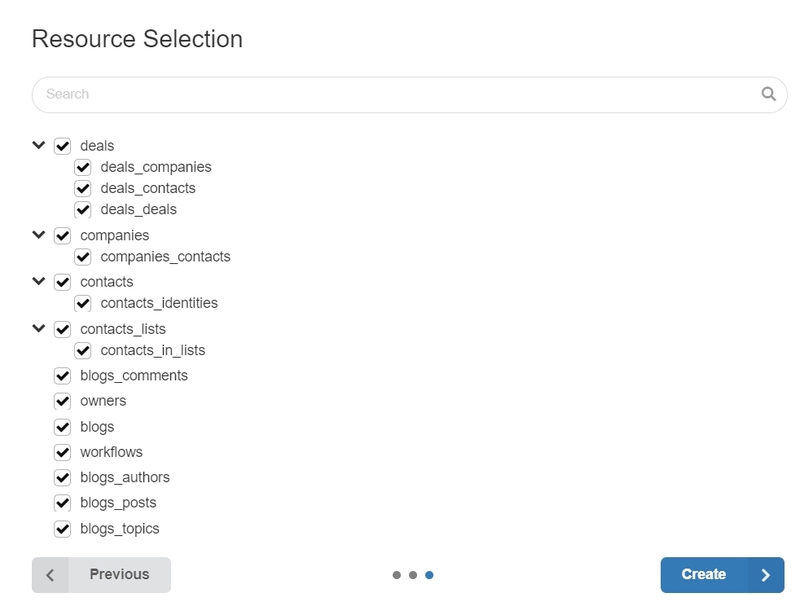 Blendo creates a table for an object in Hubspot API in your data warehouse and the object’s fields are its columns. In the next array you will see a sample of the tables we replicate from Hubspot. If you want the full schema information please consult the csv in the link below. Contact Lists contacts_lists The table contains information about Contact Lists in Hubspot. Contact Lists are used to segment contacts into groups. Due to Hubspot’s API need to be fully synced each time. Read more. Contacts contacts This table contains information about Contacts. Contacts are the fundamental building block to HubSpot. Contacts in Lists contacts_in_lists The table contains information about the Contacts and Lists data in HubSpot. Workflows workflows This table contains information about Workflows. Workflows along with Contacts and emails, are the heart of Hubspot marketing automation. Blendo will create a column for any of your custom fields and will sync it accordignly. I get authentication error message "You do not have the correct role to grant these permissions. Please contact your administrator." If during the Hubspot authentication process you see a message that your “You do not have the correct role to grant these permissions. Please contact your administrator.”, it is a known Hubspot issue with the way the contacts scope interacts with Marketing/CRM Free portals. Currently, only a Super Admin can authorize the contacts scope.